MSDF Fonts Generator is a simple but effective online tool for creating fonts and typefaces. 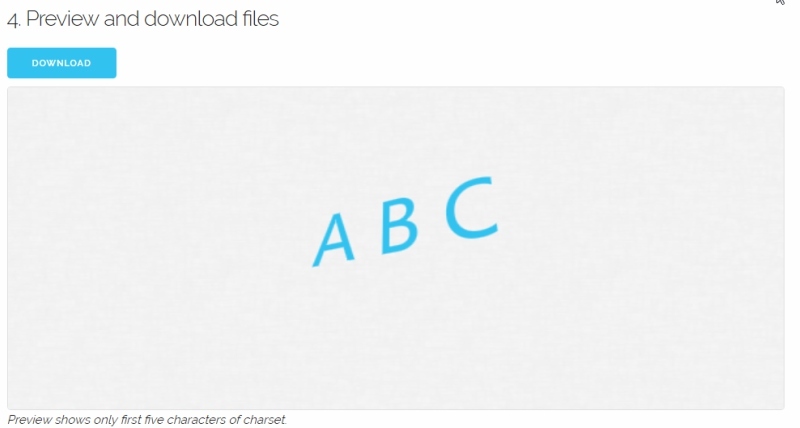 To use this tool, upload the .tff font that you’ll use. Then, select your character set and click MSDF font. Before downloading the font, you can see a preview of the first four character sets. The generated font can be used on an A-frame web framework for creating WebVR experiences via HTML5. This tool offers better font customization as compared to solely relying on WebGL.